I received a call this morning from a lady planning to walk the Cape to Cape Track next week; she was asking if the Margaret River mouth crossing was open at the moment. So here in a nutshell are the current track conditions for anyone planning to walk the track in the coming weeks. The Margaret River region has received healthy rainfall this winter. All the water tanks, spring, creeks and rivers have abundant water. The river crossings, except the Margaret River are quite manageable (though you will need to strip down even on the smaller crossings such as Boodjidup and Wilyabrup). I do not advise crossing the Margaret River unless you are experienced at river crossings. The flow is quite strong and the underlying sand is thigh/hip deep. It is very easy to lose your footing ! 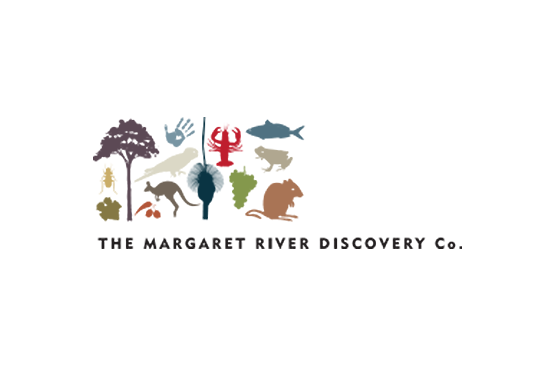 Use the alternate Caves Rd route to bypass the Margaret River. There is an abundance of wildflowers for the entire distance of the track. The orchids are out and the stunningly pink Winged Borania are prolific. Both our legged and unlegged reptilian freinds are starting to make guest appearances. Gaitors or long pants are recommended. Dont attempt the walk without a copy of Jane Scott’s Cape to Cape guidebook. Please be aware that track condtions change on a daily basis. This information is current for the week beginning 21st September 2009 and we take no responsibility for your Cape to Cape experience! Overnighting on the Cape to Cape track. Good times! 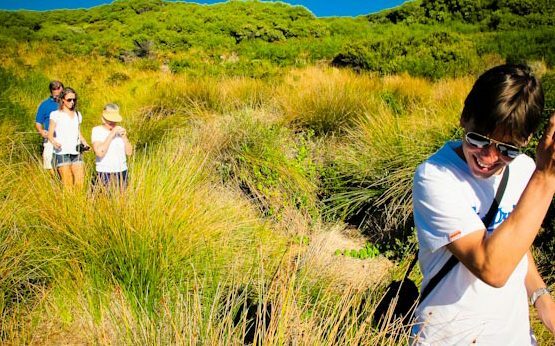 The Margaret River Discovery Co are offering fully catered/guided day walks on the Cape to Cape track, starting at $150 pp.